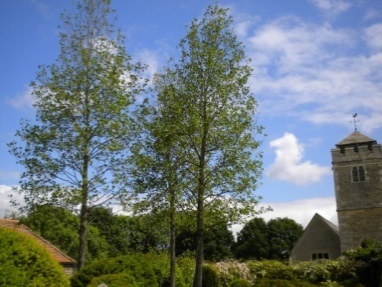 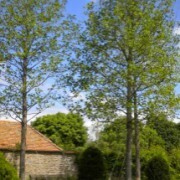 With a reputation for planting big trees, we were asked to plant three very large, semi mature tulip trees (Liriodendron), at a private garden on the Oxfordshire/ Berkshire borders. 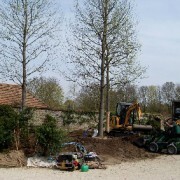 Over 13 metres tall and girth circumferences of 100cm+, these trees required careful transportation, lifting and handling during installation. 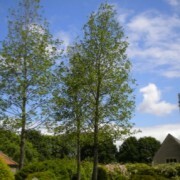 Once planted, the trees were overhead guyed using the Platipus tree anchoring system. 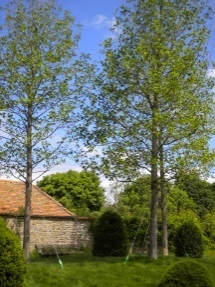 These trees look as if they have been part of the landscape for years. 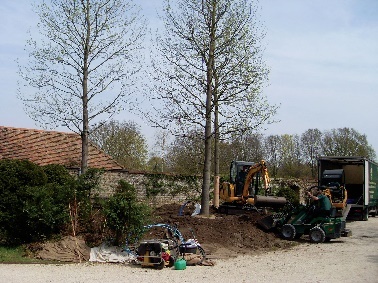 With our extensive experience, we can supply and plants large trees for screening, or to simply enhance the landscape.